Since I began studying psychotherapy in 1966, I've noticed that therapists generally fall into two categories--theory driven and practical change driven. 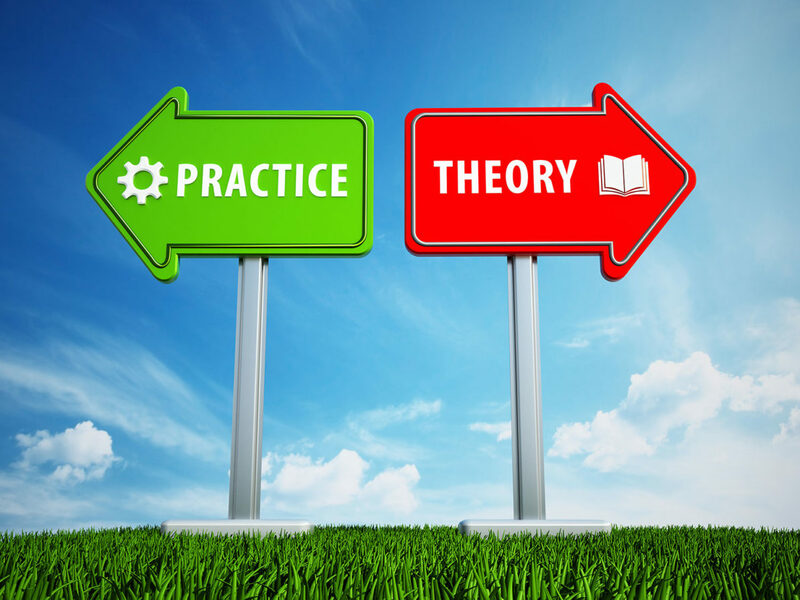 Theory driven therapists tend to fit their understanding and treatment into their theoretical orientation, often feeling dismissive or even contemptuous of other approaches. I saw a lot of this in the 70's with behaviorists, family systems enthusiasts, and psychoanalysts. I see it today with many cognitive behavioral therapists who are dismissive of non-evidence-based new treatments. Practical change driven therapists adapt their approach to each client, often shifting instantaneously from one system to another if their client prefers that worldview or orientation. I see this a lot in successful, free-thinking psychotherapists of all theoretical orientations. In college and graduate school I encountered a fair amount of theory driven therapists. Out in the world as I've studied, practiced, and written about therapy, the people I most admire are the practical change driven therapists. They tend to find languages and approaches that make sense to them and focus on helping their clients as much as they can from those perspectives, but are willing to co-create whole new languages and perspectives with their clients if it helps the change/growth/healing/development process. Two practical change systems that I have special affection for are practical romantic and practical scientific. Examples of practical scientific approaches are Besel van der Kolk's multidimensional treatments of trauma, John Gottman's work with couples based on his research, and the PACT--Psychoneurobiological Approach to Couples Therapy--system of Stan Tatkin. All these practitioners base their understanding and treatment on scientific research, but are wide open to different perspectives with different clients. I remember a conversation I had with Allan Schore, one of the founders of interpersonal neurobiology, in an elevator at a conference at UCLA. I offered him Rupert Sheldrake's belief that morphegenic fields of species and groups might affect individual learning and behavior, and he didn't bat an eye. "I have no problem with that," he said. Examples of practical romantic approaches are Esther Perel's work with couples, particularly dealing with sexuality and affairs, and some of the depth psychology practitioners who take Jung's position of coming up with a new theory for each client. Practical romantic approaches are less wedded to developmental science, and more interested in cultural relativism and what actually moves people forward in each session. Emotional/spiritual charge takes precedence over social research in supporting people's understanding and growth. Science matters, but what most matters is what helps people make sense of their lives and heal in ways that fit with their cultural referents and personal desires. Integral psychotherapy embraces all these approaches of course, recognizing that at any moment one might be more effective than the others. When I encourage students to develop their natural healing styles, this orientation informs everything we discuss. If you're a therapist, you might want to observe your work the next week or two to see your theory driven and practical change driven moments. In addition, what are your practical scientific and practical romantic moments? I see all of these in myself weekly in my sessions, and that awareness helps me grow as an Integrally informed therapist.